I’m not sure what’s going to happen with Sedagive?, but my odyssey with the Jawbone UP has come to an end. Sedagive? is on her third Jawbone UP, and mine had issues less than two months after purchasing. Mine wouldn’t accurately track how long I was sitting down, and it would sporadically fail to record data at night, even though I was in sleep mode. I shut off the idle timer and tolerated the occasional hiccup with sleep because I saw what Sedagive? was going through and didn’t want to gamble with a defective replacement unit. My UP started having sync problems. It would also vibrate at random, even though the idle timer was off and I did not enter power nap mode. I thought the battery was low, but it still had a few days left of juice. I contacted Jawbone, and they sent me a replacement. Jawbone’s customer service is pretty responsive, but it’s also very clear they don’t read anything that you put into a support ticket. Now that we’ve returned three UPs between us we know the song and dance pretty well. 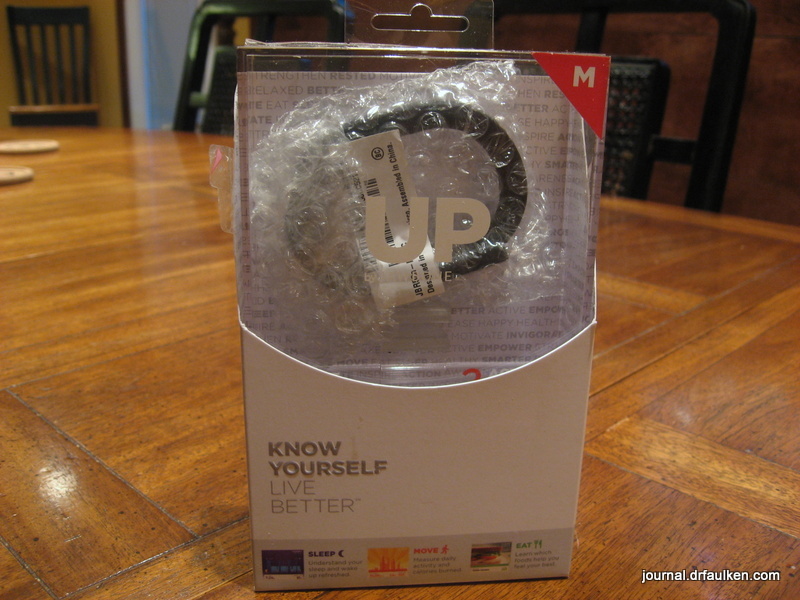 I’m selling my replacement on eBay, and I’m fed UP with Jawbone.